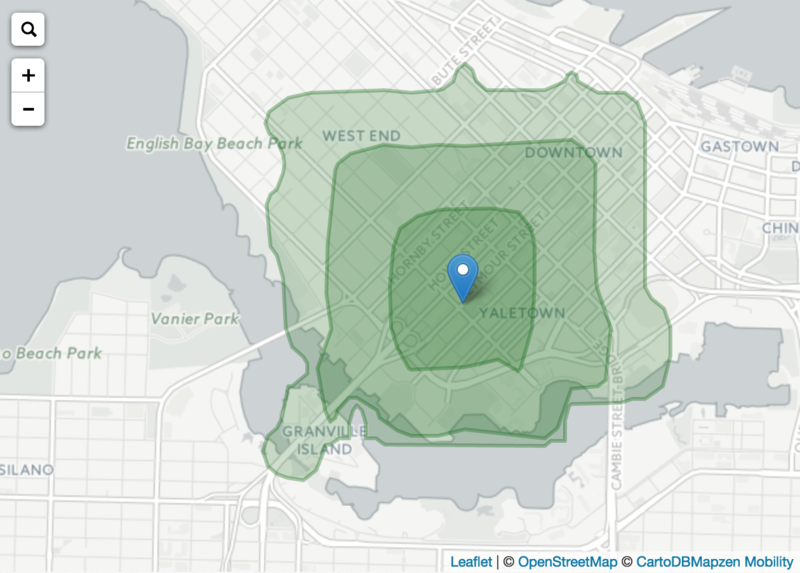 I have played with Mapzen’s Isochrone serivce in the past with a simple visualization of walksheds. 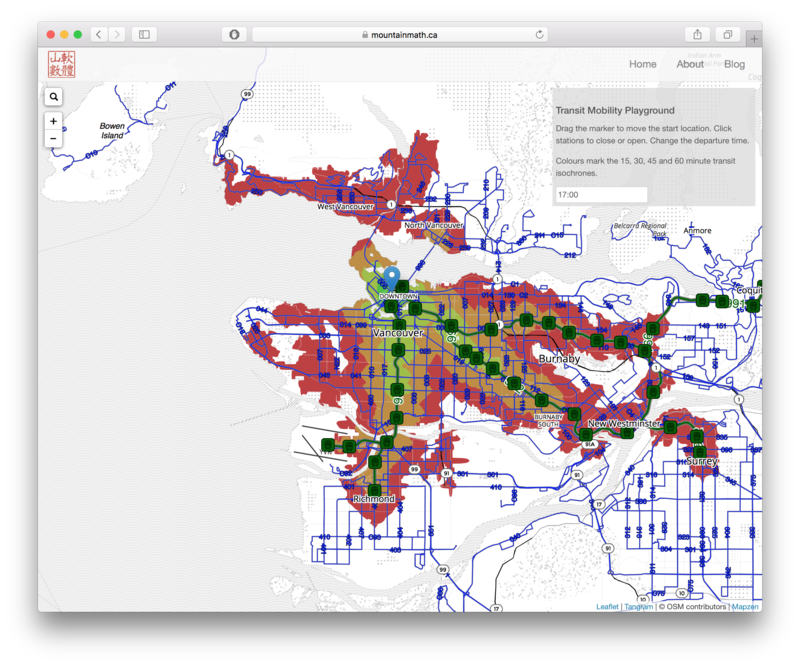 Recently Mazen updated the isochrone API to allow for a more fine-grained selection of exactly what transit services to include or exclude in transit routing, and they created an amazing mobility explorer based on that. 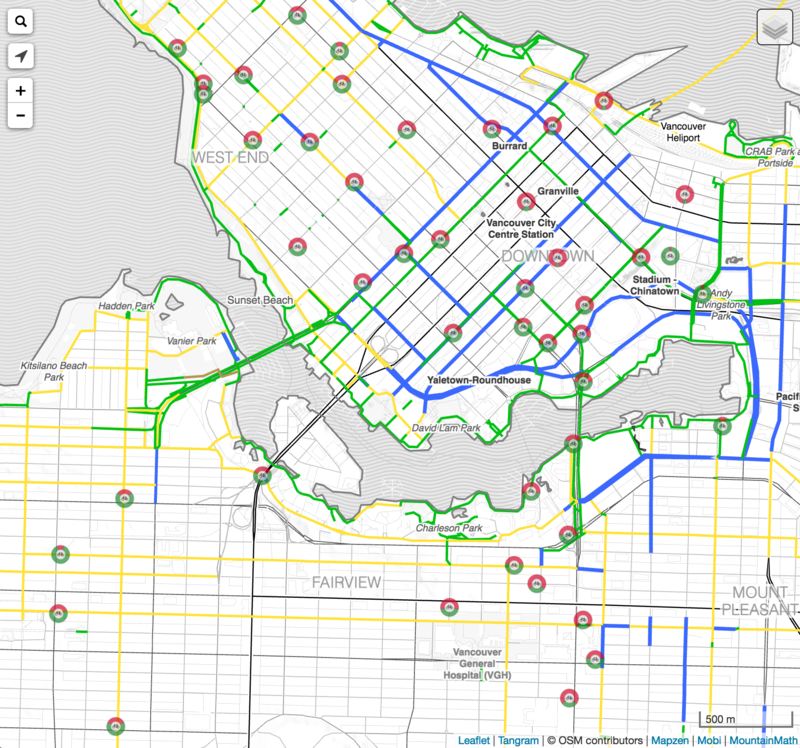 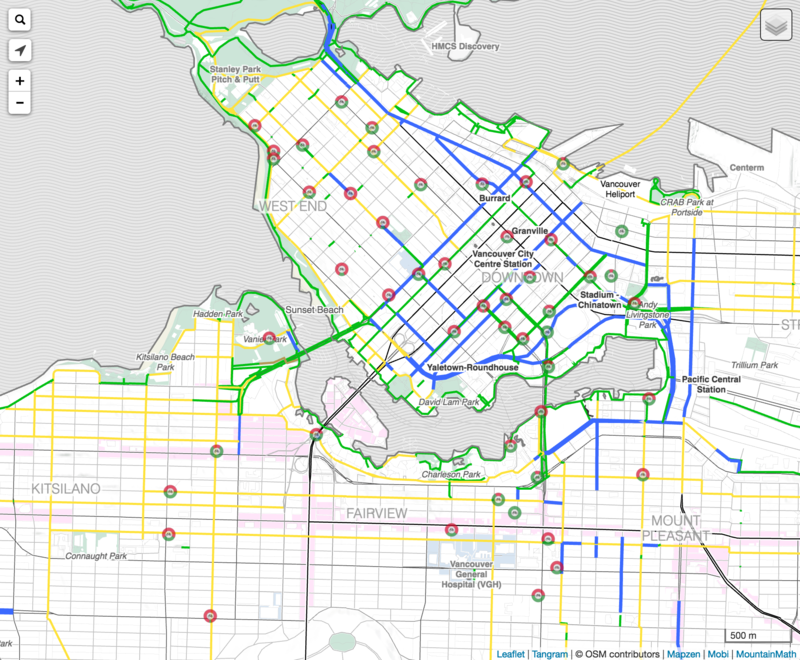 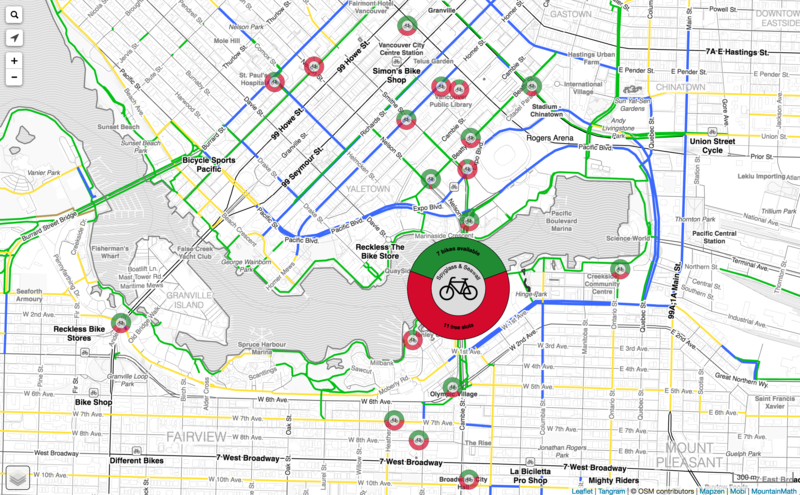 Partially motivated by chatting with two TransLink planners I decided to riff off of that and take a look at how well TransLink serves different parts of Vancouver.